In late February, August live cattle futures closed near $116 per hundredweight (cwt.). By April 3, however, prices fell to $99.60. Prices did rebound to $104 on April 27 but cracked again, to $98.25, on May 18. The roller coaster ride made cattle growers rightfully sick. The hoped-for sale price for a 1,325 lb. slaughter steer went from $1,537 in late February to $1,300 in mid-May. That $237 per-animal difference, according to Iowa State University breakeven calculations, cost feeders all their profit and then some. To prove it, Qualman charted a century of inflation-adjusted Canadian cattle prices. 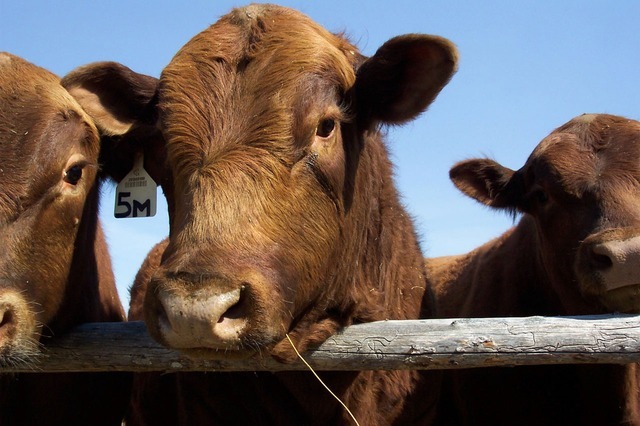 The results, explained in an April blog post titled “The cattle crisis: 100 years of Canadian cattle prices,” are both colorful and bruising. A key finding shows that, from 1942 through 1989, Canadian cash cattle prices stayed within the $1.50-to-$2.50 per pound (or $150 to $250 per cwt., Canadian dollars) inflation-adjusted price range. Interestingly, cattle prices spiked out of that range only three times—and all to the high side. In 1989, however, that range shifted substantially downward; prices began to toggle between $.80 and $1.60, or $80 to $160 per cwt. Worse, prices have stayed within these limits since. How did the old bottom line, $1.50 per pound, essentially become the new top line? Qualman dug deep for an answer. The story is the same on this side of the border and nearly everywhere else. Trade agreements, global meatpackers, captive slaughter supplies, and little-to-no competition among packer-buyers have made beef—be it Canadian, American, Brazilian or Martian—into an international commodity, not a regional or national product. That will not change. Nor will the price at the grocery store. Lower cattle prices, predicted for the rest of 2018, will not bring lower retail meat prices because meatpackers, despite their name, are really in the market power business and, right now, business is very, very good.